Ice only dispense, with coin-op and room card dispensing control options. 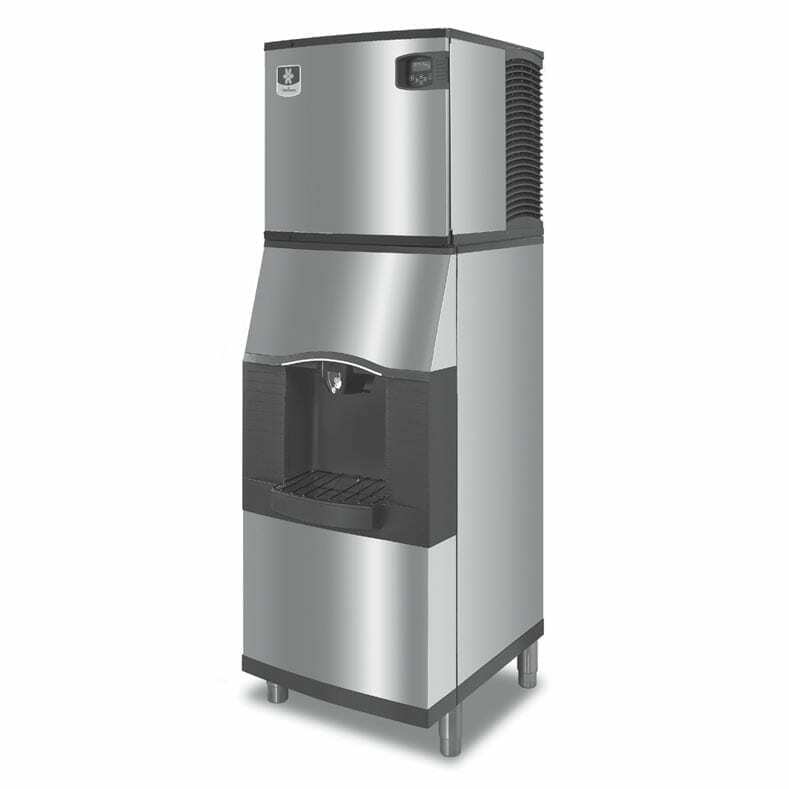 Accepts 22″ (55.88 cm) or 30″ (76.2 cm) wide Manitowoc ice machines. Patented rocking chute dispense mechanism reduces in-flight ice and ice spillage with quick on/off activation.